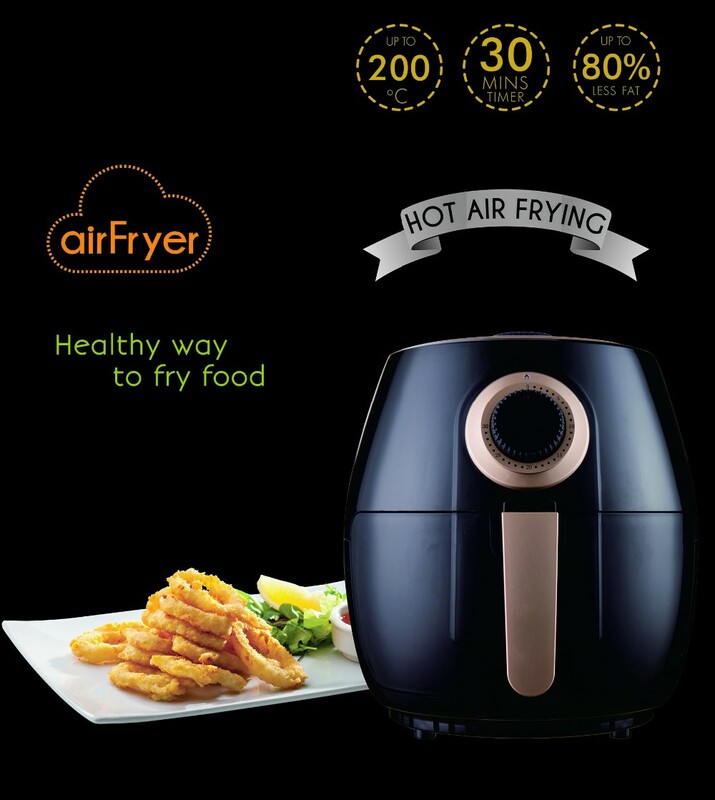 The newly introduced fat-free Air Fryer will help you to cook the food and refreshment you like in a healthier manner. 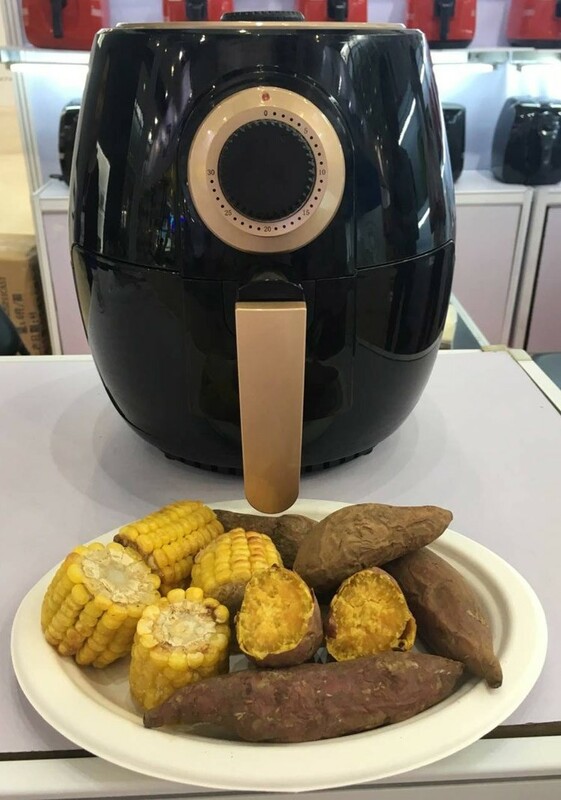 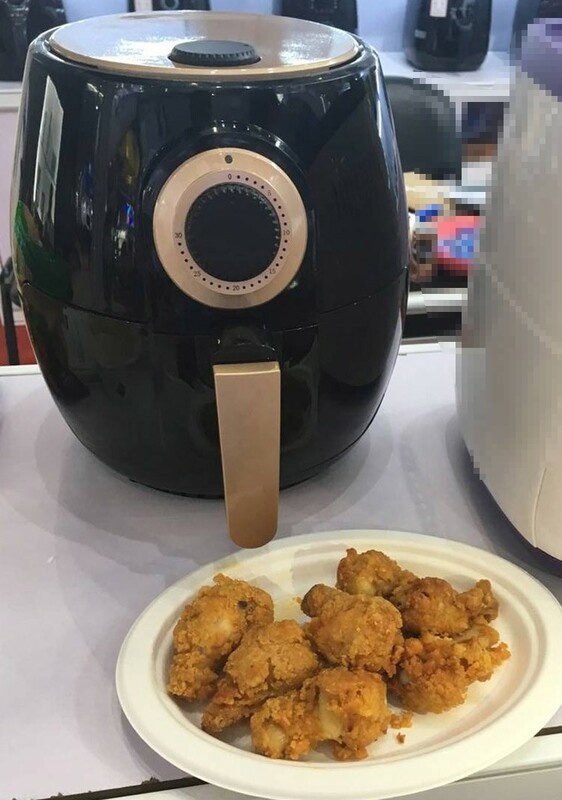 The fat-free Fryer uses the principle of hot air combining with high speed air cycling (fast air change), it will provide a one time comprehensive heating, so for most food, there is no need to add oil for cooking. 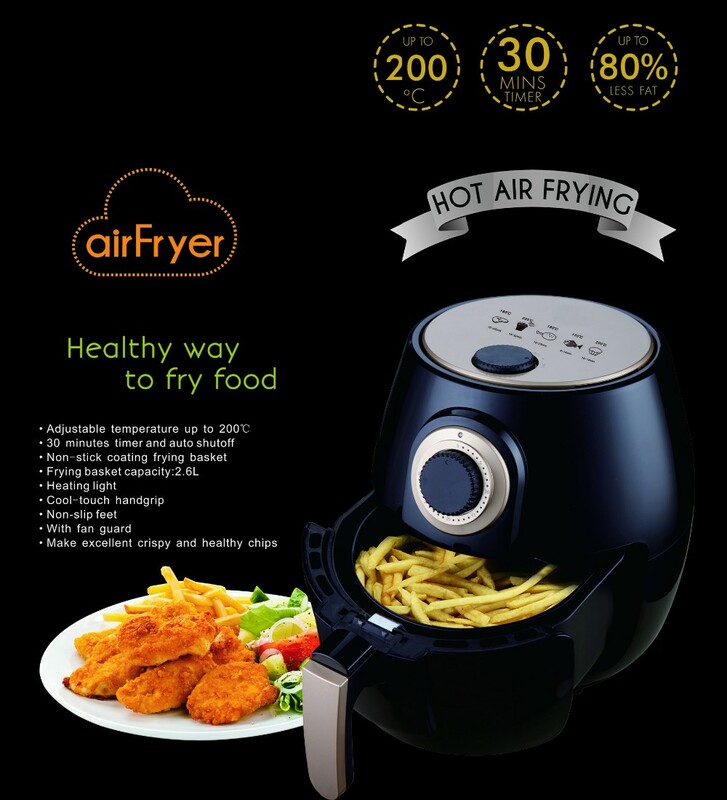 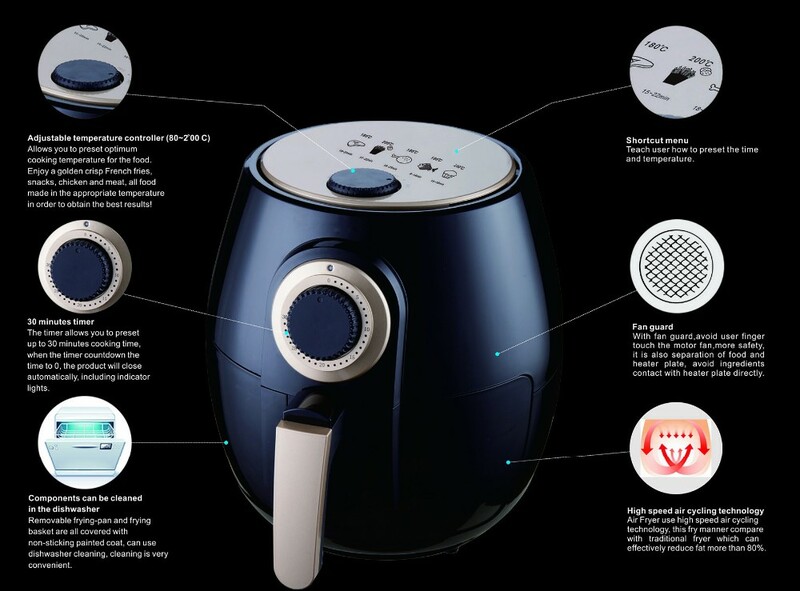 With our Air Fryer, now you have a more convenient way to make delicious food like cakes and milk egg biscuits etc.